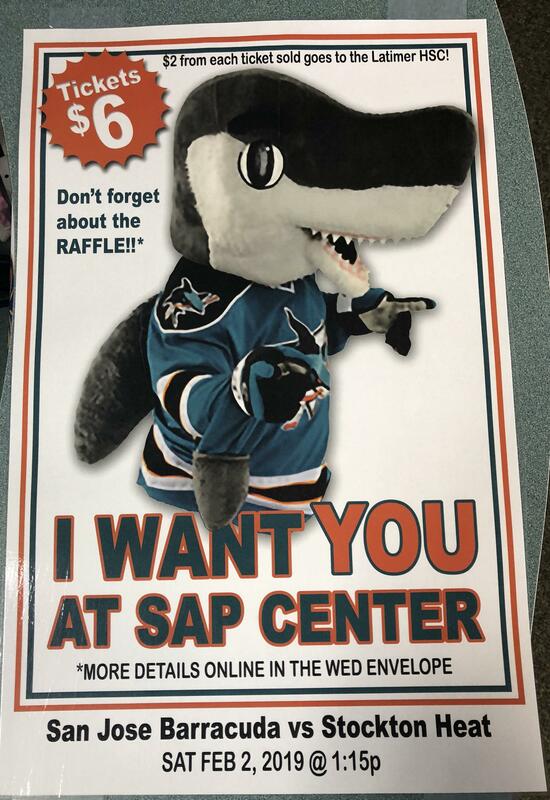 Please join us on Saturday, February 2nd as Latimer Invades SAP Center. Tickets are for sale for $6, and a portion of that goes to support Latimer Home and School Club. Tickets are flexible, so if you cannot attend the Latimer Invasion date, or would like to go to multiple games, tickets may be traded in prior to February 2nd for another date. Check http://www.sjbarracuda.com/games for upcoming games. Purchase tickets by returning this form, with payment, to your student’s teacher or the front office. Any questions please email latimerhsc@gmail.com.